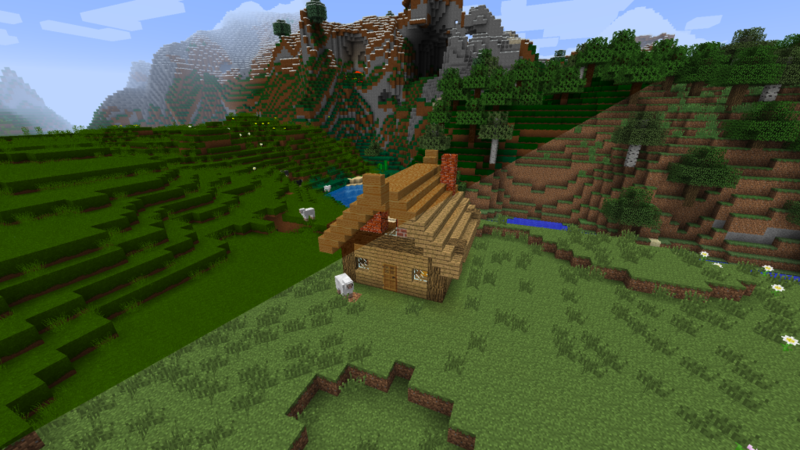 Home › Minecraft › What Is a Minecraft Resource Pack? What Is a Minecraft Resource Pack? The bottom/right half of this image shows how this scene looks with the default textures, while the top/left half shows how it looks using my resource pack. Resource pack creators use image painting and editing software like GIMP or Photoshop to digitally draw and paint these images (i. e. they mostly do not use a camera, but start with a completely white or transparent image) and thus the creators are (digital) artists. Resource packs are not mods. Resource packs only change the look of the game, they do not change the game mechanics, e. g. you can’t add new blocks using a resource pack.